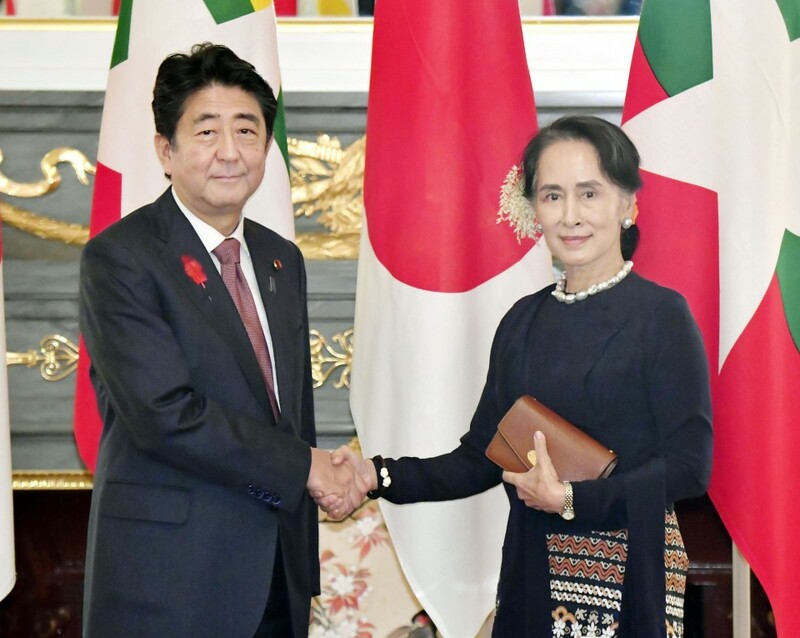 Japanese Prime Minister Shinzo Abe on Tuesday pledged Tokyo's continued support in realizing the return of Rohingya refugees to Myanmar during talks with the Southeast Asian country's leader Aung San Suu Kyi. "Although this is a complicated and serious issue, Japan will think together with Myanmar and support the Myanmar government's efforts to resolve it," Abe told reporters after their meeting in Tokyo. The prime minister said Japan will also provide support to create an environment for the minority Muslims to resettle, including building homes. More than 720,000 Rohingya have fled to Bangladesh from the western state of Rakhine since the Myanmar military launched a harsh crackdown in August last year in the wake of attacks on security posts by militants of the ethnic group, according to the United Nations. Abe's proposals come at a time when only a few Rohingya have returned home despite an agreement for their repatriation reached by Naypyidaw and Dhaka last November. Myanmar set up a four-member commission involving former Philippine and Japanese diplomats to probe alleged atrocities against the Rohingya Muslims, who are not recognized as an indigenous group of the Buddhist-dominated country. "As Prime Minister Abe said, I also believe it is vital for the independent panel to conduct a right and appropriate investigation," said Suu Kyi, who doubles as foreign minister. Abe said Japan's assistance worth 800 billion yen ($7 billion) from the public and private sectors announced in 2016 has been "steadily" paying off. During the meeting, he also promised to provide up to 70 billion yen in low-interest loans for some development projects in Myanmar's largest city of Yangon, according to the Japanese Foreign Ministry. Abe also aired concern about the conviction of two Reuters journalists, sentenced to seven years in prison each, for illegally obtaining classified documents relating to Rakhine State, according to the ministry. Suu Kyi told Abe that the two journalists were treated under the country's law, the Japanese ministry said. She was the last leader to hold bilateral talks with Abe among those who attended the Mekong-Japan Summit Meeting on Tuesday. 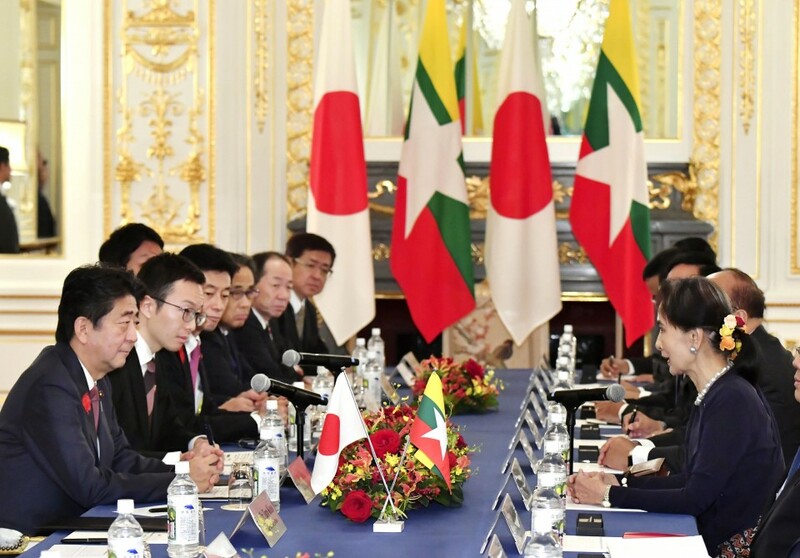 The summit was held in Tokyo with four other countries, Cambodia, Laos, Thailand and Vietnam.